August was a great one ... summer camp for Camille, a week at the lakehouse, progress (and completion of!) our master bathroom renovation, an incredible natural phenomenon -- the eclipse, lots of lip biz successes with 12 women added to our group, and some fun family times at the pool. This month we are ready to embrace football, (hopefully) some cooler temps, and a little more of a schedule since Camille will be in preschool for three mornings a week. I attended orientation last night and her teachers are so wonderful. 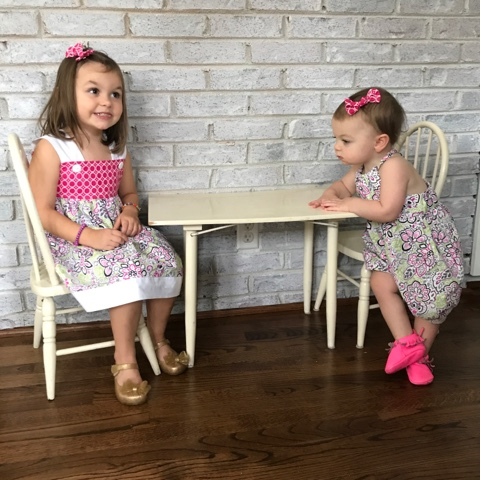 Yesterday the girls wore these adorable coordinating outfits which were actually made by a local Charlotte mama! Melissa is SO talented ... I feel that I probably have somewhat higher expectations since my own mom is a master sewer/seamstress. 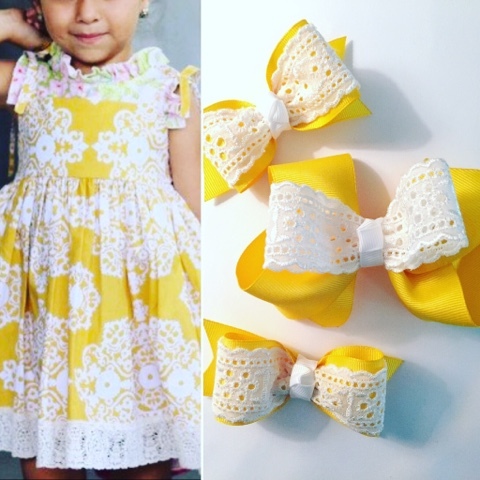 The outfits are all made with such quality elements, all of the seams finished so beautifully, and the patterns are just so happy and perfect for kids. Melissa and I were chatting last night and she has offered all of you a September special ... 10% off with code APRIL10. You can find her HERE on Etsy! I can't wait to work on another set with her for cooler weather, maybe even something for the holidays. She makes the sweetest little apron dresses! 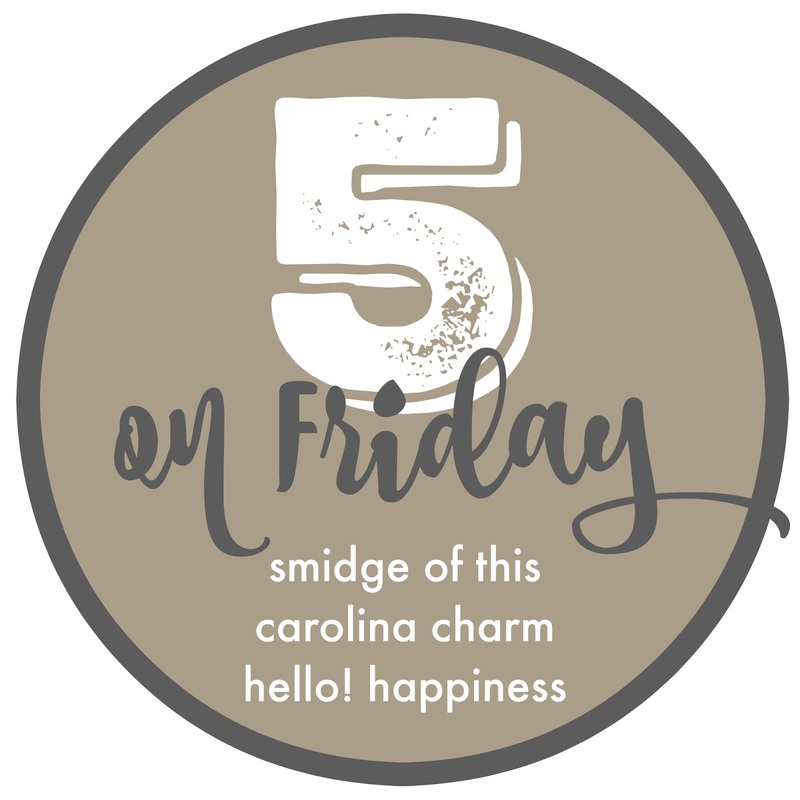 Last week I mentioned that I was having a hard time wrangling in Camille's big, sassy threenager personality, but I am happy to report that this week has been MUCH better. I'm attributing much of that to this little $7 miracle worker! Her behavior chart allows her to work toward a goal -- a trip to TCBY in her case -- for making it up to 5 stars. Bad behavior gets a warning and then gets a star removed. Good behavior gets a star earned. She is apparently a visual learner and goal-setter so it has worked out so well! Another fun little kid note. 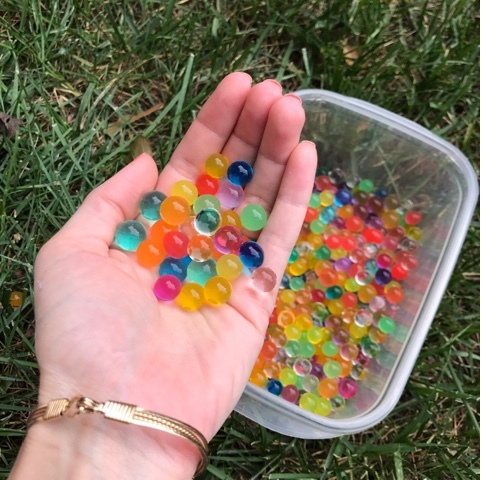 The other day we played with the neatest little activity ... water beads! These bad boys are so teeny and they blow up when submerged in water for 6-10 hours. They are so fun for sensory play for the kids. Camille and I even worked on sorting them by color. You can find them here on Amazon ... cheap. 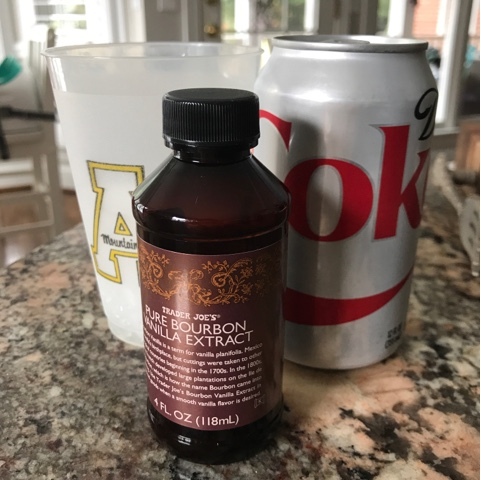 I know I've mentioned this before and it's certainly not rocket science, but man oh man, a dash of vanilla in a Coke is just about heaven on earth for me. I'm not much of a soft drink girl, but this is a combo I just cannot say no to! This beads look like lots of fun! We might have to get one of those behavior charts! I love the idea of her working towards a goal &that she can so easily see the good and bad consequences of her behavior. Here's hoping for a trip to TCBY soon! Precious little outfits. I grew up with a mama who's a master seamstress too and it sets the bar HIGH! 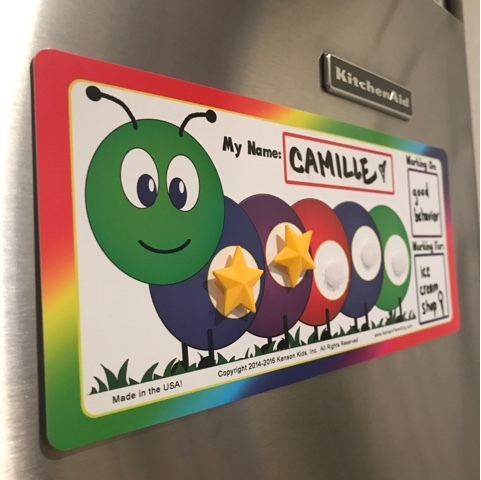 That little chart for Camille is so great and her goal of TCBY...well, she's my kind of girl! (and you get a reward too👊🏼) Happy Labor Day weekend! In college we always pre-gamed with vanilla vodka and coke...so I directly associate that flavor with booze...oops! 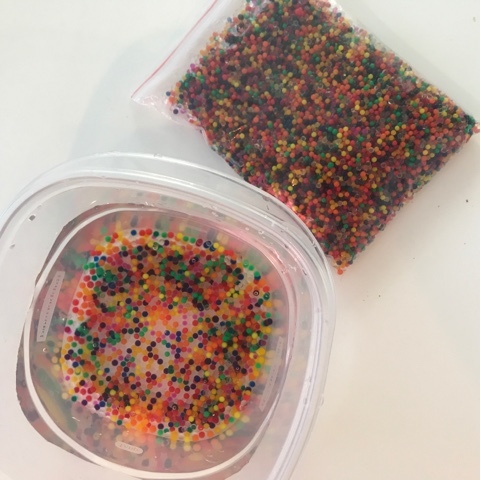 We love water beads! It's such a fun treat for Sadie when we take them out to make some - she plays with them for daysss. 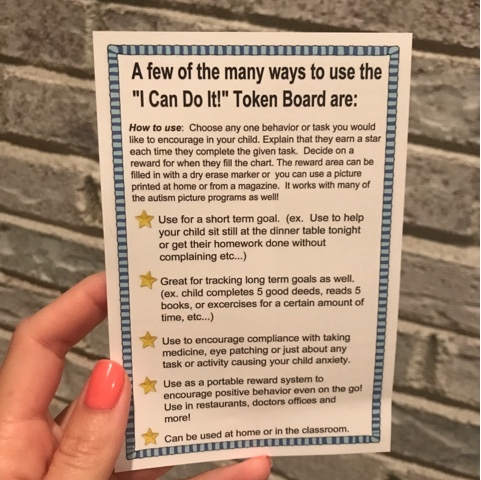 That behavior chart is the cutest and such a great idea!! I'm super excited September is here as well! Hope you enjoy all the fall activities! I've been thinking about a behavior chart for my 4 year old. But I'm just not sure how often I want to put a star up? One a day? Two a day? I don't want to drag a reward out foreverrrrrrrr, but don't want to be handing out rewards left and right either? Thoughts?